Today, we received confirmation that the Kijiji Kids Community Libraries organization has received our September 9, 2018 Library Outreach shipment. The shipment included over 175 books in the subjects of science, technology, engineering, and math and will be used to supply a startup library in the town of Lodwar, Kenya. 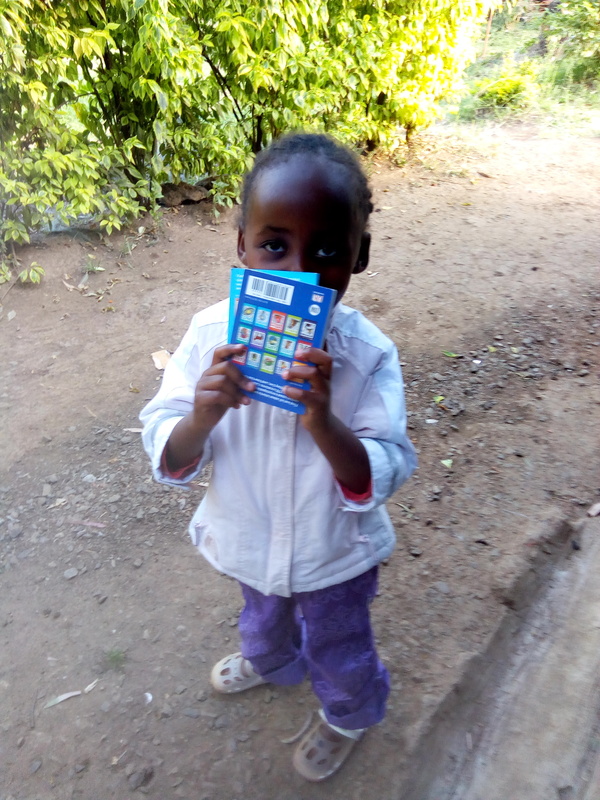 Below is a photo of one of the kids the books have already helped. The reading materials are meant for all ages, not just children, and will be used to establish library locations that have a multitude of scientific reading materials available for perusal. Because of this, people in the Lodwar, Kenya region will have access to much more scientific resources and we hope that quite a few of them will go on to become intelligent, renowned scientists that will change our world for the better. In our September 9, 2018 Library Outreach shipment, we also sent over 175 books to the Mpika District Community Library in the town of Mpika, Zambia. We have still not received confirmation that the startup library has received the books. Once we receive confirmation from their head librarian, we will post another update. We will also continue to update this article as we receive more pictures from the Kijiji Kids Community Library in Lodwar, Kenya.